A handful of the faces both new and familiar who will be gracing the stages at the Thousand Islands Playhouse this season. (Gananoque, ON) After a winter of roller coaster weather, it’s hard to wait for the start of what could be the hottest and coolest season yet at the Thousand Islands Playhouse. 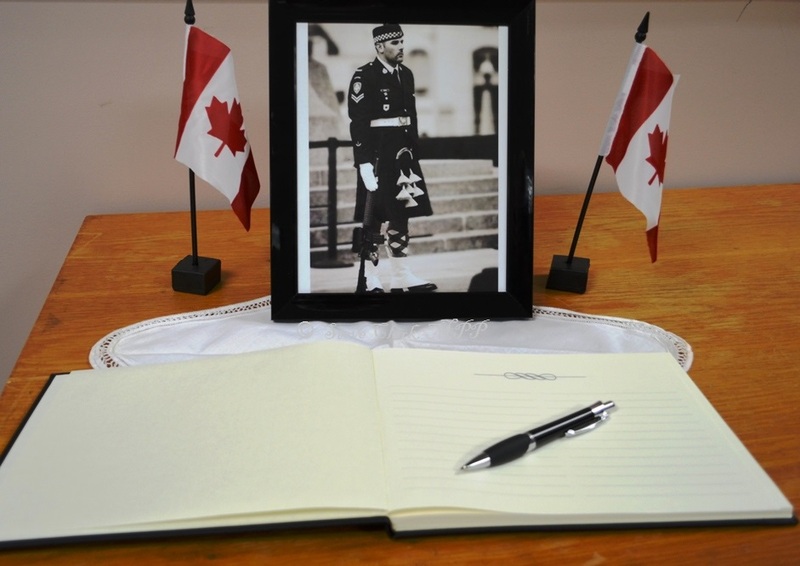 ( BROCKVILLE ) – Leeds-Grenville MPP Steve Clark has set up a Book of Condolence for Corporal Nathan Cirillo at his constituency office, Suite 101, 100 Strowger Boulevard in Brockville. Cpl. Cirillo, a reservist with the Argyll and Sutherland Highlanders regiment based in Hamilton , was gunned down Wednesday while guarding the Tomb of the Unknown Soldier on Parliament Hill. (KEMPTVILLE) – An essential first step, but there is much more work to do. Leeds-Grenville MPP Steve Clark used those words in responding to today’s announcement that the provincial government is providing $2 million to ensure an intake of students at Kemptville College this fall for the 2014-15 academic year. (QUEEN’S PARK) – MPP Steve Clark stood up today for local food producers in Leeds-Grenville whose entrepreneurial efforts are being plowed under by the Municipal Property Assessment Corporation (MPAC). 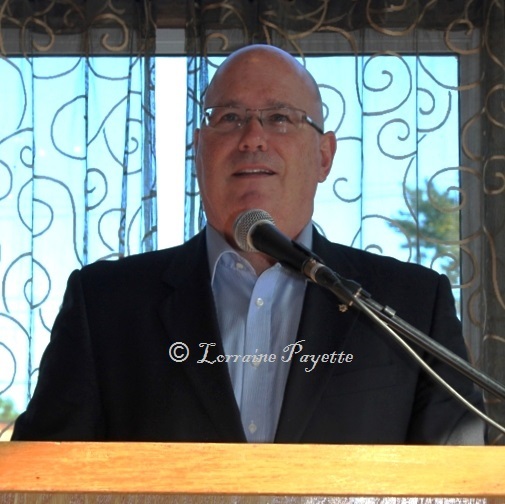 (BROCKVILLE) – Leeds-Grenville MPP Steve Clark is inviting residents from the riding to take a break during this busy time of year and join him at his annual Community Christmas Reception. (QUEEN’S PARK) – Minister of Health and Long-Term Care Deb Matthews has committed to personally looking into a proposal by North Grenville’s Beth Donovan Hospice for funding to create a long-awaited residential hospice in the community. 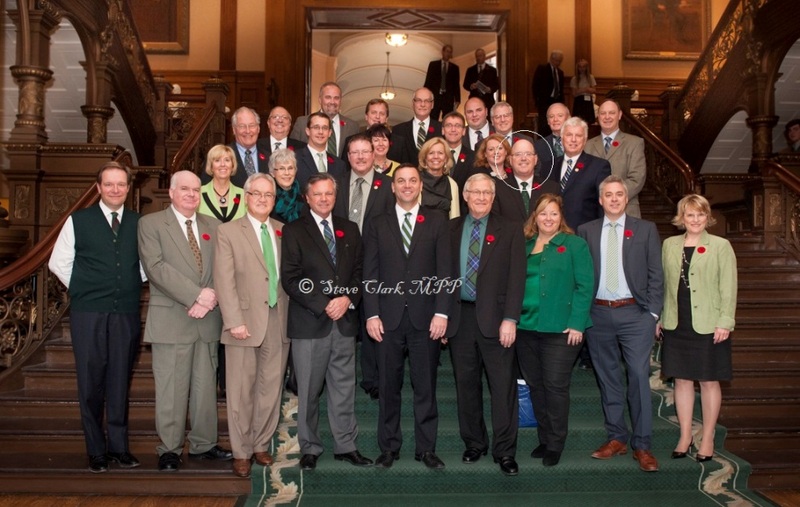 (QUEEN’S PARK) – Leeds-Grenville MPP Steve Clark was proud today to join members of the Ontario PC Caucus in wearing green at the Ontario Legislative Assembly to show his support for 4H Canada ’s 100th anniversary. (QUEEN’S PARK) – It’s time to force the Liberal government to face the threat of jail time in order to finally get to the bottom of the billion-dollar gas plants scandal, says Leeds-Grenville MPP Steve Clark. ( BROCKVILLE ) – Leeds-Grenville MPP Steve Clark is holding a forum this month to give area residents an opportunity to have their voices heard as part of the provincial government’s Poverty Reduction Strategy.